Now I know that there’s a certain degree of irony attached to this post. Just now you read my question on why people don’t read anymore. I’m not really talking about reading in the the sense of skimming the occasional article online, though. Before anyone tries to point it out- yeah, I’m aware that the medium for communication has shifted a lot since video is now accessible to pretty much everyone. I’m talking about books, people. 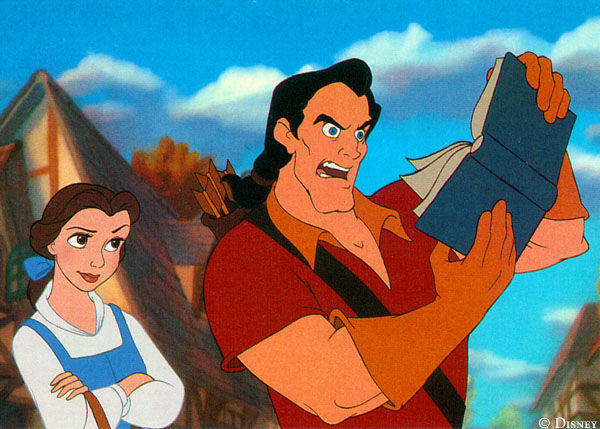 When did we stop reading books? I can’t count how many times I’ve been reading a book in public and people act as if I’ve started cleaning a black-powder musket. I was going to write about Jamie Foxx being cast as Electro in The Amazing Spider-Man 2, but I write about comic book movie news all the time. Today I’m going to be discussing another topic very near and dear to my heart: cartoons. There’s a stark difference between what’s on children’s programming now and what there was when I was younger. I’m not here to critique the quality of the shows, because stuff like The Regular Show and The Amazing World of Gumball are really good; I’m here to comment on the content. Cartoons used to be about kids. At the youngest end of the scale you had Rugrats, which was literally about babies. Moving up you went through Hey Arnold!, The Weekenders, all the way up to the aptly named 6teen. These were kids who went to school, who had sleepovers, who hung out with their friends. They were relatable. Both of these shows are, at their core, about the same thing. The difference is the gimmick present in the latter. Sidekick is about kids, sure, but it’s about kids who are training at the Academy for Aspiring Sidekicks. To contrast, The Weekenders is about kids who enjoy hanging out with each other on weekends. That’s not to say genre-mixing in kids’ shows hasn’t been around for ages, and that I don’t enjoy them. Programs about kids who are also spies have been around since Kim Possible and Totally Spies. One of my all-time favourite shows, Fillmore!, is a shameless parody of hard-boiled police dramas, with its characters often acting more like tiny adults than children. The fact is, I miss shows without gimmicks. When all you have to deal with is a football-headed kid and his pals, that forces you as a writer to be creative, to make the ordinary extraordinary but still relatable. Stuff can get weird, like the barbarically tribal kindergarteners in Recess, but for the most part you’re sticking to real life stuff. Honestly, being a kid is a bizarre enough experience as it is. I love Adventure Time and its protagonist, Finn the Human. He’s a fourteen-year-old kid, and his escapades are all kinds of awesome. The thing is, I’m never going to be best friends/brothers with a magical talking dog, or date a girl who is literally on fire. I get escapism, I know why it’s important, but I also can’t feel the same way about Adventure Time as I do The Weekenders. I could have been Tino or Carver, but there’s no way I can ever be Finn. Over the past couple days, actors Donald Faison and Zach Braff have been campaigning for Obama here in Vegas. While I’m not a fan of their political stance, I freaking love Scrubs and have been re-watching the show for what must now be about the ninety-billionth time. It got me thinking about a discussion Evan and I had a while back, in which we concluded after some debate that Scrubs is the best show of all time. Ok, that’s not going to mean anything to you if you haven’t actually seen Scrubs. If you haven’t, go watch it now. Now think about it- has there been a bad episode of Scrubs? Has there ever been an even sub-par episode of Scrubs? There really hasn’t. Not every episode is fun to watch (it’s a hospital- you can’t expect them not to deal with mortality and whatnot)- some episodes are downright depressing and tragic. Even so, there show never fails to have some substance to it and (and this is the big thing) never really diminishes in quality despite having been on air for eight seasons (nobody counts the ninth as cannon). See, what makes Scrubs so consistently good isn’t that it’s funny- it is funny, but not every episode, and not every joke in the funny episodes will have you on the floor. It’s that it’s consistent all the way through. The characters develop, certainly, but they never really shift dramatically or break away from who they were a season ago. JD is always JD, Turk is always Turk, and so on. The wacky, exaggerated universe of the show never strays too much into total realism or too far off into surrealism. In short, and episode seen in the last season of Scrubs is about the same (extremely high) quality that the initial episodes are. Now I know you’re all saying, “But Gordon, you ruggedly handsome bastion of logic and truth, surely consistency isn’t all there is to it!”, and yes, it’s not just consistency that makes a show good. Comedies need to be funny, dramas need to be agonizing, and so on- nevertheless, these things are dwarfed when it comes to consistency- let me give you an example of this done wrong. Community. I remember seeing ads for it in my first year of college and thinking “Neat- a show about college. Something I and my demographic can all relate to and get a kick out of. This looks like it’s gonna be good”. Really good. In fact, the first season of Community is probably one of the funniest things I’ve ever seen in the couple decades I’ve been alive. But what proceeded the glorious first season was one of the fastest and ugliest burnouts in television history. You remember how Abed was socially-challenged but ultimately human in his attempts to relate to people and make is father (also played by an Indian actor) proud? Remember how Jeff wanted to get his degree and regain control over his life? Remember how Troy was trying to deal with the loss of his status? How Annie was trying to reinvent herself? I’d have to concede that, if it weren’t for such shows as South Park and American Dad. 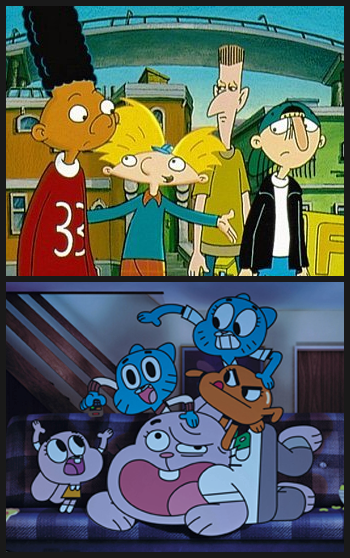 Both of these shows have been from their inception pretty surreal, nonsensical, and all-around crazy. Yet both shows have maintained that same level of craziness and remain (more or less) as popular now as when they started. Again, an excellent example of how shows drifting away from their original material kills them would perhaps the most iconic animated show of all time: The Simpsons. My old roommate never saw the early Simpsons, and is to this day convinced that the show is side-splitting in its hilarity. And he’s probably right- I stopped watching the Simpsons after my first year of college- I got tired of having my heart broken. Would you ever hear that from Lisa in one of the later seasons? You would not. Why? Because Lisa has moved from being a brilliantly smart little girl to a pointy-haired midget channeling the whiny liberal indignation of Bill Maher. Is there anything wrong with Lisa as she is today? Not really, no. If that’s who her character is, then that’s who her character is- only the hitch here is that’s not who Lisa started off as. Had Lisa started off as the yellow counterpart of Brian Griffin, then I wouldn’t have any problem. Had Homer started off as a food-crazed buffoon or Marge as a simple housewife, I’d probably still watch the show. Again, it’s the gradual change from one thing to another that’s responsible for people drifting away from the series. It’s not that shows go stale (not that staleness can’t be a problem- just look at the Gilligan’s Island episode where they’re almost rescued), it’s that they change too much. And hey, with our ever-shortening attention spans and our rapidly changing culture, maybe that’s not such a bad thing.